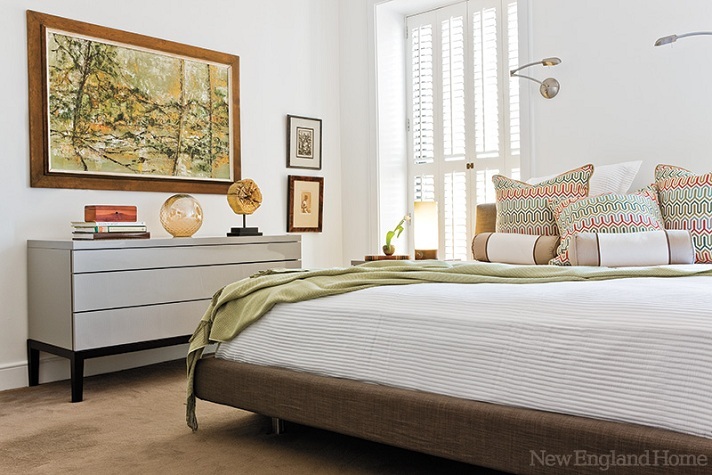 Mix and Chic: Home tour- A modern and sophisticated Boston's Back Bay pied-à-terre! Jessie - what a great feature. All that design in a small space. 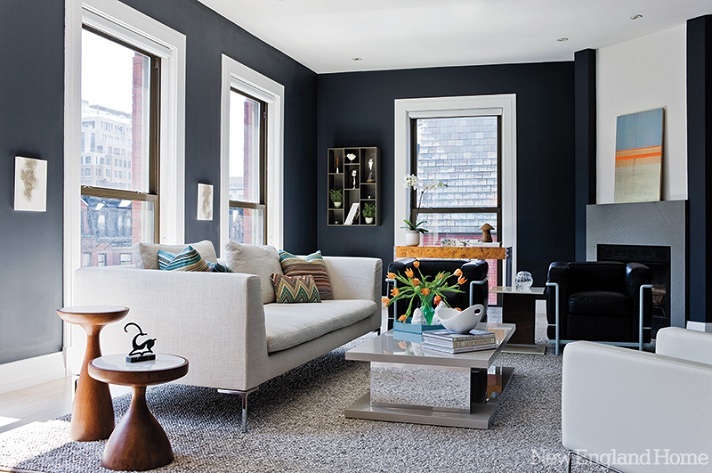 Love the use of grey throughout. Beautiful rooms and windows full of light. Jessie...love the dinning room with that great orange light. 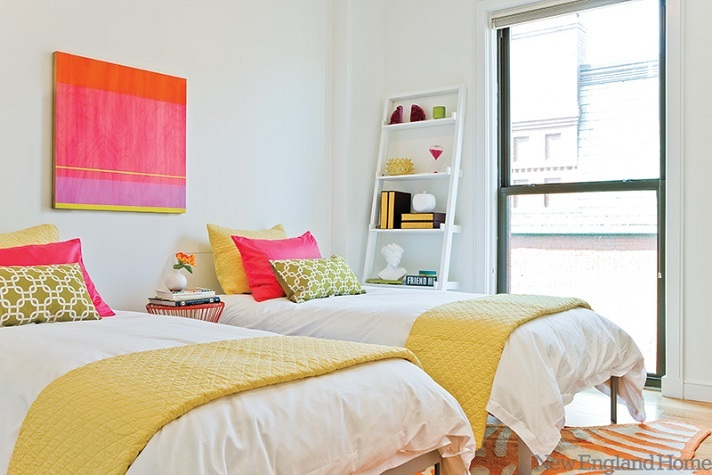 The dark gray walls look so pretty with all the natural light, I love all the fun bright colors in the bedroom. I love that desk too...It looks so cool with the brick of the building next door.